License for companies. Extended pack of features and services. 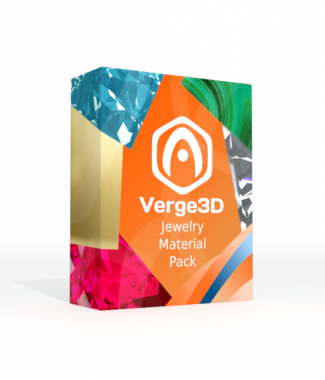 Verge3D is the most artist-friendly toolkit for creating interactive web-based experiences. It features a comprehensive integration with Blender, a physically-based rendering pipeline, support for native materials and animation. Interactivity is enabled with Puzzles, an intuitive and easy-to-learn visual scripting environment. Verge3D content can be deployed on your own web servers, shared on social media or uploaded to the distributed hosting platform called Verge3D Network. Verge3D Enterprise license is intended for companies or organizations regardless of their size or revenues/budgets. An unlimited number of installations within your company. 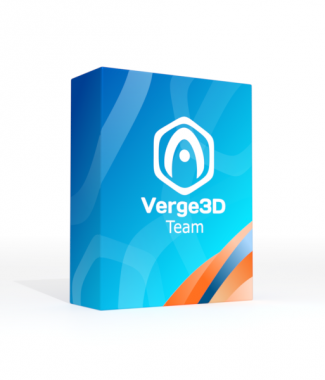 An unlimited number of designers/developers who can use Verge3D in your company. Technical support (Tier I, Tier II) during the maintenance period. Emergency bug fixes regardless of the Verge3D release cycle. Allowance for modifications and customizations, such as adding your own blocks to Puzzles. Access to the full source code. Source code allows your developers to learn, review and modify the framework internals. Maintenance period for one year since the moment of purchase that includes regular updates and bug fixes. Access to Verge3D Network. We provide 10Gb of storage space and 10Gb of monthly traffic for free. 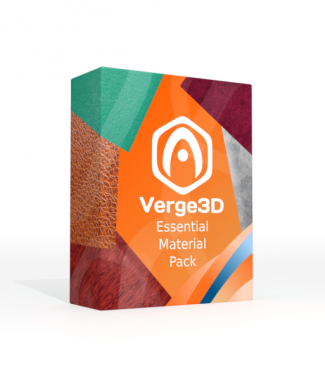 You can familiarize yourself with the terms of the Verge3D EULA in more detail here. After completing your order, the license key information will be sent to you in an email. The source code bundle will become available in the download section of your account dashboard. Verge3D is a solution for creating rich 3D web experiences without the need for deep web development skills. Verge3D supports open tools and standards. The scene authoring component of Verge3D is available as an extension for Blender and, soon, for 3D Studio. These are industry standard tools. My team and I have experience with these tools and it is easy to find additional talent to work with Blender and 3D Studio. Rather than develop and maintain yet another 3D web development library, scenes authored in Verge3D take advantage of the three.js project. Three is very popular cross-browser WebGL environment. Use of Three ensures robust support across modern web browsers. Also, the Verge3D solution allows access to the Three API. This gives our development team deeper access to a 3D scene if we need it. Verge3D uses the new open standard GLTF 3D content delivery format rather than a proprietary closed standard that competing solutions use. As more and more content creation tools and end points move to GLTF, solutions that support this standard will become more valuable. Verge3D supports it today. Verge3D is lightweight. A scene boots quickly and minimal data is dragged across the wire. This is critical for a creating great user experience. This is not true of all solutions in this space. The puzzles feature allows me to implement business logic into my scene without the need to write code. The puzzle feature is built on well-known standards and there are many tutorials available on the web about its use. This helps me get my team up and running on this technology as quickly as possible. The Soft8soft company is very responsive and communicative. I have had technical questions about Verge3D and they have been answered promptly. The team at Soft8soft has even proactively contacted me when they thought that a new Verge3D feature would help me with one of my projects. …and that leads me to my last point. Soft8soft is rapidly iterating the Verge3D solution. At the time of writing, the Soft8soft solution is only a few months old, but the Soft8soft has already released three builds of their solution. Each new release has been packed with new and valuable features. In conclusion, I highly recommend Verge3D and the Soft8soft team.